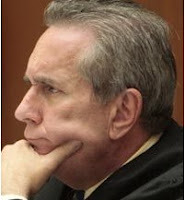 On Aug 25, 2011, presiding judge Judge Michael Pastor denied Conrad Murray's request to sequester the jury. The judge expressed faith in the juror’s ability to follow the law and stated that jury sequestration may, in fact, hinder a fair trial because the jurors feel like they are being imprisoned. 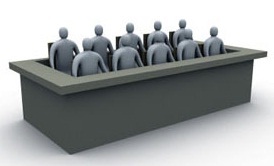 Whilst the judge mentioned the high cost of jury sequestration, he stated that it was NOT the over-riding factor in his ruling of denying sequestration. "By problem, do you mean the exercise of first amendment? The first amendment is one of those cherished fundamental constitutional rights in the United States. That includes the right to comment" retorted judge Pastor, denying Ed Chernoff request. On September 2, 2011, the defense filed a 28 page petition with the California 2nd District Court of Appeal. Conrad Murray defense team requested the Court to reverse judge Pastor’s ruling and order jury sequestration or to ban TV cameras from the courtroom. More than likely, The Court of Appeal will uphold Judge Pastor’s ruling and deny defense’s motion in the next 48 hours and the jury selection will resume as scheduled. If they wish to hear this matter further, they will issue a stay & the Trial will be delayed. This morning, during a 20 minute hearing, the judge stated that unless the Court of Appeal orders a stay, the Conrad Murray Trial will resume as scheduled. 480 potential jurors will be summoned on September 8 for a three-day period to fill out jury questionnaire. Those who don't qualify will be dismissed. The qualifying jurors will return around September 23 for voir dire where the prosecution and the defense attorneys will select jurors. On July 21, 2011, defense attorney Michael Flanagan was interviewed by a radio host. He said the judge won't allow certain evidence such as Michael's financial records. Conrad Murray who has been permitted not to attend pre-trial hearings was ordered to show up this morning. Clearly referencing to Murray's and Michael Flanagan's remarks, the judge admonished Murray & his team. "It has come to my attention that there have been comments made regarding certain rulings of this court. I want to admonish counsel and Dr. Murray, this case will be tried in this court room. Today Murray defense filed a motion to bar 2 studies cited by a prosecution witness. According to the motion, prosecution witness, Dr. Steven Schafer cited, in his report, studies concluding that oral consumption of Propofol wouldn’t render its sedating effects. Defense asserts that the first study doesn’t include humans or oral consumption. where 6 students volunteered to drink Propofol and submitted blood tests. either of these two studies, therefore, they request the judge to rule these two studies inadmissible to the Trial. The judge has NOT ruled of the defense’s motion.